Hong Ngoc General Hospital is proud to be the medical sponsor for Hanoi International Heritage Marathon 2018. The marathon has successfully and safely ended. 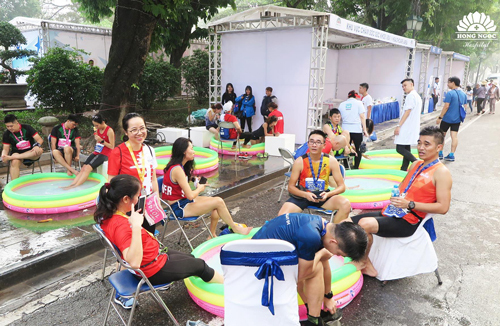 Its success is greatly contributed by the organizing board, runners, sponsors, volunteers, and Hong Ngoc General Hospital’s team of doctors and nurses. Hanoi Heritage International Marathon is the first international marathon hosted in Hanoi. The race connects 3 renowned heritages – Hoan Kiem Lake, Hong Ha (Red River), and West Lake, creating new unique races. Hanoi Heritage International Marathon is a great playground for all types of runners, from the beginner to professional ones. Starting on early morning 21 November 2018, the marathon, with 4 distances including 42,195 km (Full Marathon), 21,0975 km (Half Marathon), 10 km and 5 km, attracts nearly 2500 athletes at all ages from Vietnam and other countries. Participating this marathon not only allows athletes to challenge themselves but gives them a chance to have an exciting experience of Hanoi’s history, culture, people and lifestyle in the past and present. The marathon is a special occasion for Vietnam in general and Hanoi in particular to promote renowned heritages to the world. Due to the long distances and complex roads in different areas such as Long Bien District, West Lake and Hanoi Old Quarter, ensuring safety for all runners during their journey is significant. 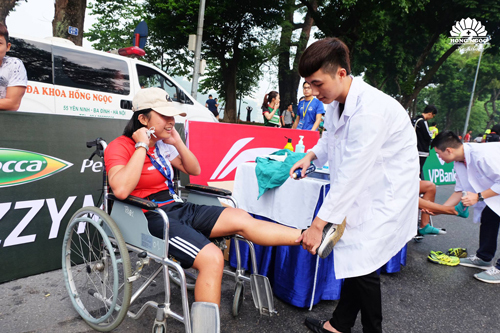 Therefore, as the marathon’s medical sponsor, Hong Ngoc General Hospital carefully prepares medical booths at important points. Ambulances and Emergency team are always ready to timely handle incidents, making sure that all runners have the best health condition before, during and after the marathon. 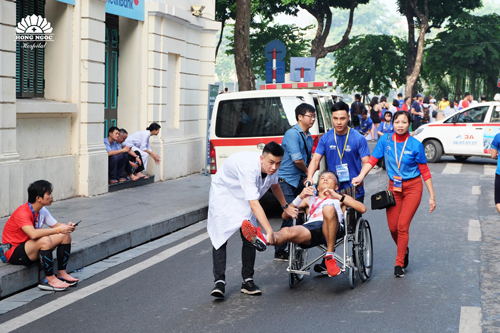 At the finish point – King Ly Thai To monument, 4 doctors and 5 nurses of Hong Ngoc General Hospital are assigned to support hundreds of runners. All of their cramps, muscle spasms, and other injuries are quickly handled. Particularly, some cases of syncope, heat shock, hypoglycemia, and electrolyte disorders are also timely solved. 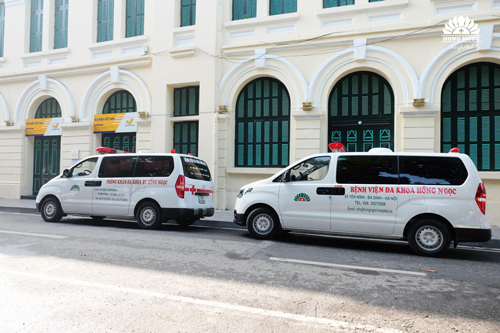 Some patients are referred to Hong Ngoc Hospital or other clinics for further follow-up. These athletes have recovered well without further problems.